Nam Phon was one of the first elephants to retire at the Wildlife Friends Foundation Thailand (WFFT) Elephant Refuge in 2004. 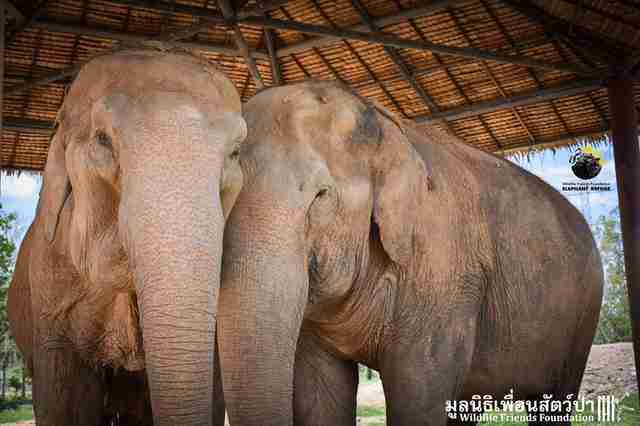 She lived a peaceful life at the refuge for six years, enjoying her days in the company of her own kind after spending most of her life carrying tourists at various elephant camps. 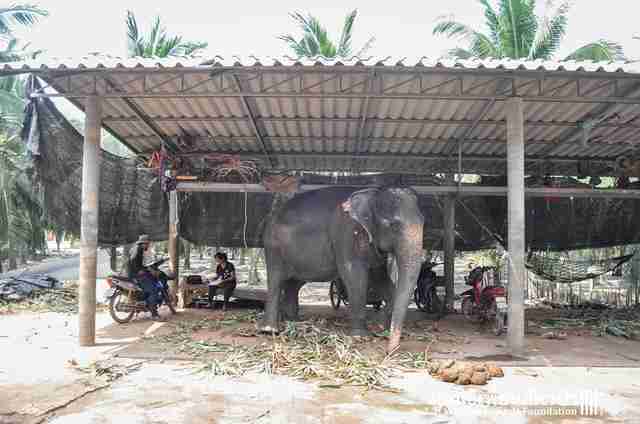 But in 2010, Nam Phon's former owner decided to take her back - and force her into hard labor once more. "It is most likely that she was poached from the wild as an infant, witnessing her mother and other herd members butchered and then sold on into the logging industry, and later into the tourist industry," WFFT wrote on Facebook. "She has been at elephant camps giving rides to tourists each day for the last five years. 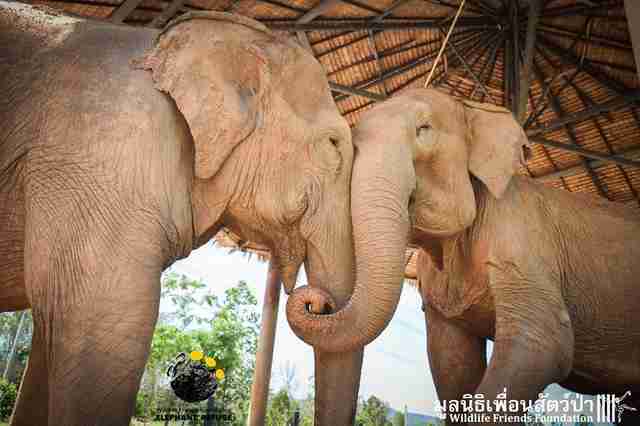 The camp in which she came from is notoriously known as an abusive place for elephants." 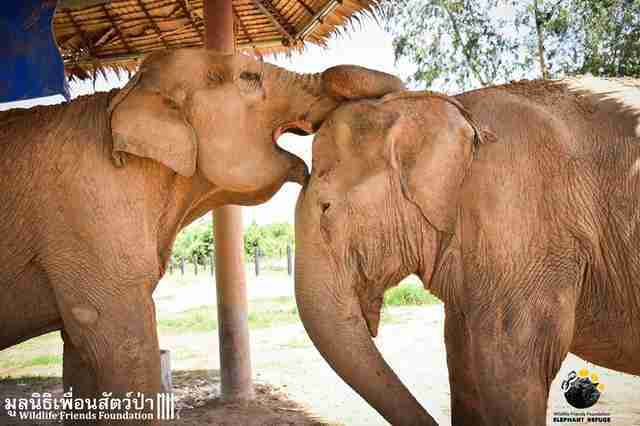 At the time of her initial rescue, WFFT didn't have the finances needed to pay elephant owners to allow their animals to permanently retire at the sanctuary. So, Nam Phon was ripped away from her home and friends, sentenced to more years of hard labor. 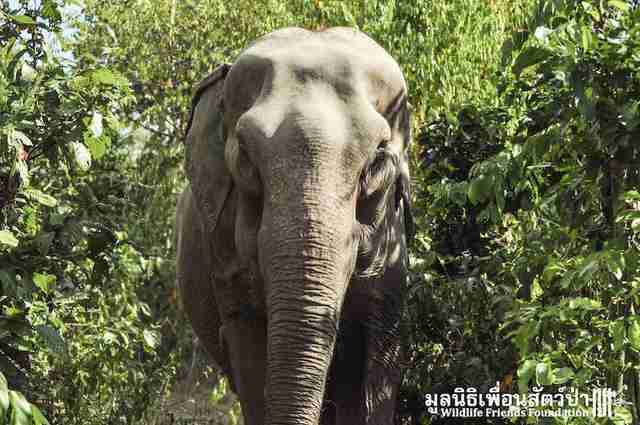 However, after negotiating with Nam Phon's owner for years, WFFT was able to bring her back, rescuing her from a nearby trekking camp in west Thailand in March 2016. 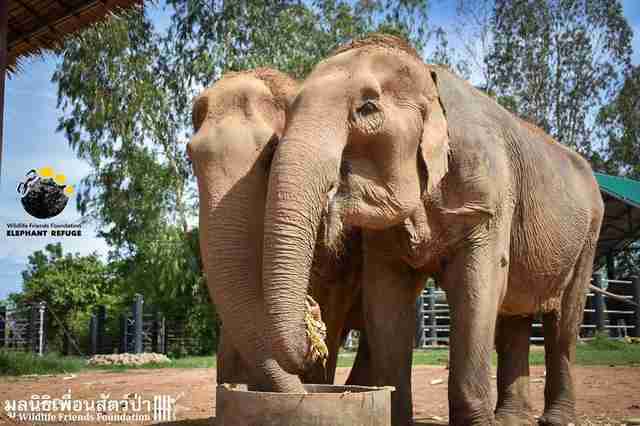 Upon her arrival, Nam Phon, who is now 55, was greeted by her old friends, Khan Kluey and Somboon - and ever since her return, she has become close to another female elephant at the refuge, Jele. 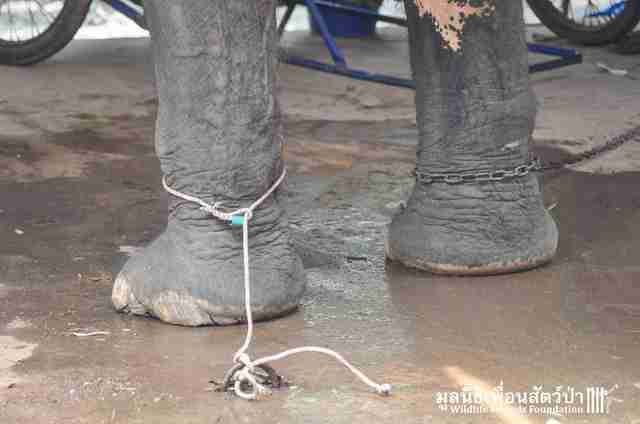 Jele, who is 60, was found chained to a tree and left to die after her use as a trekking elephant came to an end. 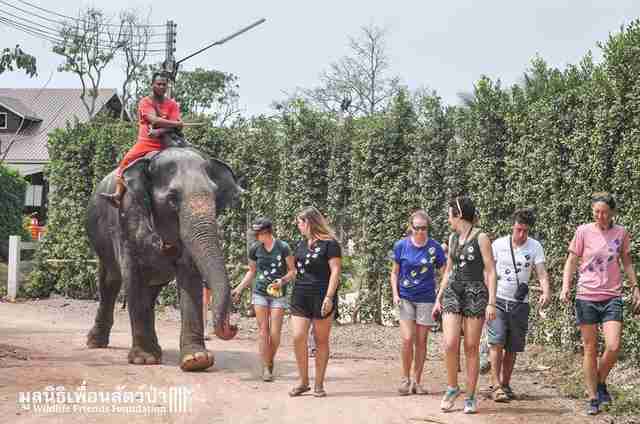 But she was rescued, rehabilitated and came to show off her true personality as a friendly and confident elephant - and a master escape artist at that, according to WFFT. She's managed to make it out of her enclosure three times. It only made sense that a senior girl like Jele would have a thing or two to teach Nam Phon, who is more relaxed and loves to amble at her own pace. 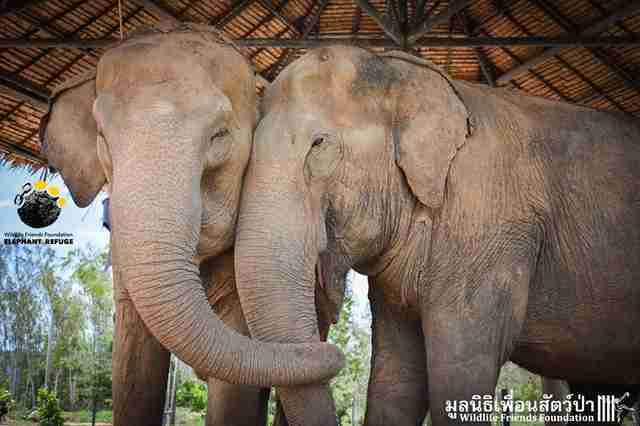 The pair is now practically inseparable and they are often seen "holding hands" with their trunks. Even though Nam Phon's back legs are slightly lame from all the labor she's endured, she seems to have little trouble keeping up with her adventurous best friend. 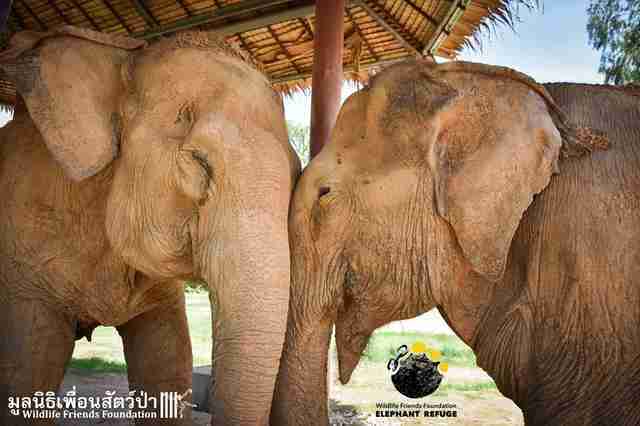 More importantly, both elephants now get to spend their golden years together, free from the cycle of abuse they once had no choice but to engage in.